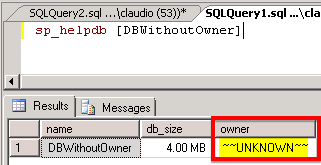 A few days ago I came across with a error that says “Property Owner is not available for database [XXXXXXX].”. The following image shows the error message. I have seen this message before so I know that the problem is that the database does not have a defined owner. When the login defined as owner is a Windows Login but that login has been dropped from AD or the local computer, SQL Server assumes it as ~~UNKNOWN~~. 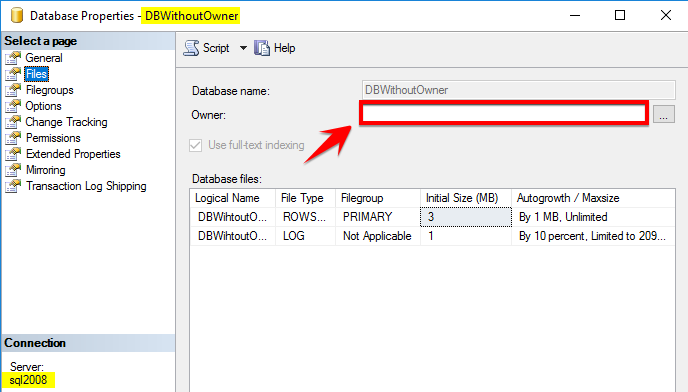 If we right-click on the database in Object Explorer and try to open properties window for database we will get the error message shown before. The error message pop up when using SSMS 2008 but when I was trying to reproduce this problem I was using SQL Server Management Studio 2016 and the error message did not appear. Instead, the window was able to be opened and we can see on the ‘Files’ tab the ‘Owner:’ property has empty textbox. In matter of fact we can even change any property on this or other pages and save the changes without any error. We need to define a new owner to the database. After running this command we can see that ~~UNKNOWN~~ give place to the new defined login. How can I validate if I have other databases with the same problem? Well, I will pick dbatools for the job. dbatools is an open source PowerShell module on GitHub that have more than 100 commands to make our life easier. Test-DbaDatabaseOwner is the command that we can use to verify who are the database owners. You can test for a different account to be the owner by supplying the –TargetLogin parameter. By default this command tests if ‘sa’ account is the owner of the database. If we specify the –Detailed parameter we can see all databases, regardless of owner. Next, we will reproduce our problem by deleting the ‘BASE\DBOwner’ user from AD. As a result the owner will become empty. Now that we know that ‘CurrentOwner’ column will have an empty string whenever owner is not defined we can take advantage of that and filter the output to only return records where CurrentOwner column is empty. 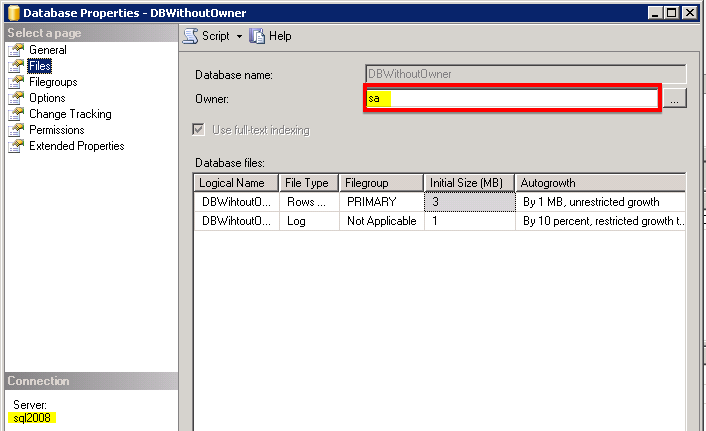 As you can see we found a database named DBWithoutOwner on sql2008 and sql2012 instances that does not have an owner defined. 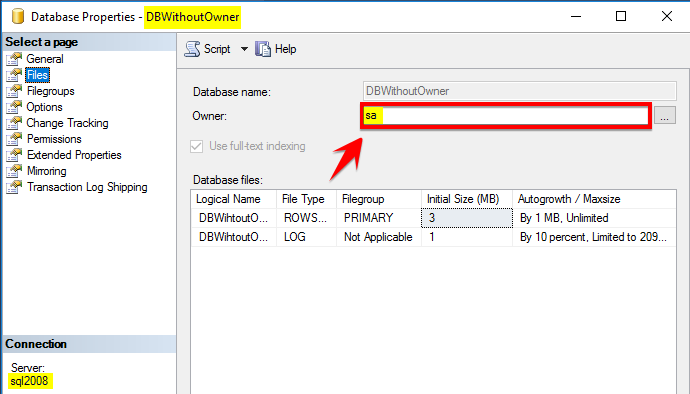 The sql2016 instance does not show any results because every database has a CurrentOwner. With our collection of databases, inside our $databasesWithoutOwner variable, we can iterate it and run the Set-DbaDatabaseOwner command to set a new owner to this collection of servers/databases. Note: By not including the –TargetLogin parameter, the default login that will be used as owner is ‘sa’ account. 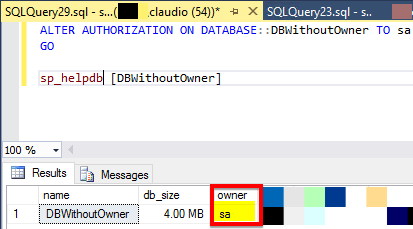 If you want to set a different owner than ‘sa’, you can using this parameter. Finally, we can rerun our script against our list of servers ( $serverList ) and verify that our databases on each server now have ‘sa’ account as database owner. 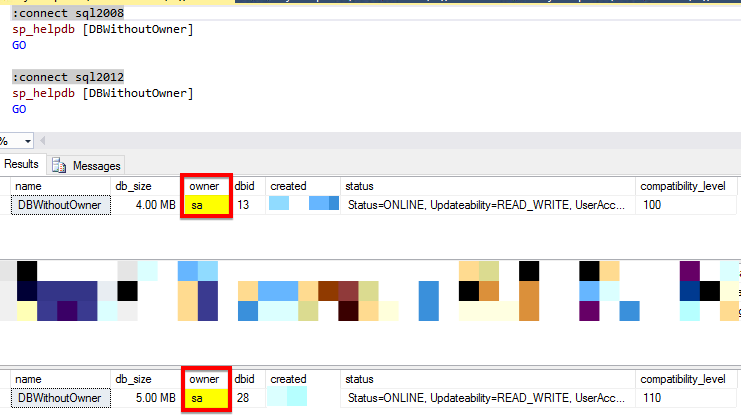 Also, from SSMS we can see that the ~~UNKNOWN~~ is gone. With this example we could see that SSMS 2016 improved the way it handles older errors. Although this can hide some misconfigurations like this one. We could also see, by using dbatools PowerShell community module how we can find all occurrences and fix our databases that do not have an owner defined. 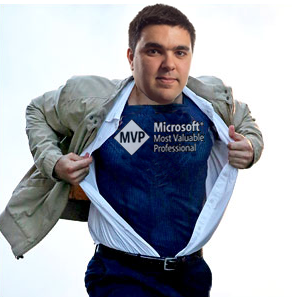 You can find more handy commands on this PowerShell module on GitHub and dbatools.io site. If you have any questions please drop a comment.